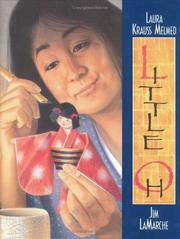 Little Oh is a woman's only child, who is made from origami paper. The paper doll is restless indoors so she ventures outside for the adventure of her life. What happens when she finally finds her way back home to her mother? Melmed, Laura, “Little oh,” Children's Picture Book Database at Miami University, accessed April 21, 2019, https://dlp.lib.miamioh.edu/picturebook/items/show/7538.